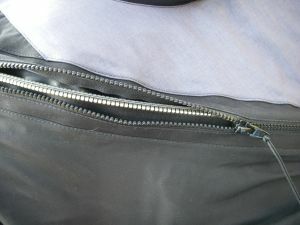 Like the Ezeedon zip system. 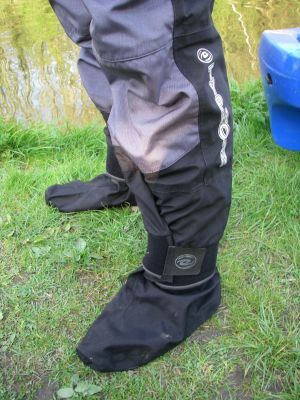 is fantastic the material is a special quad ply breathable fabric that is both lightweight to the wearer yet very hard wearing it has some really good features the Ezeeydon zip system has an inner and outer zip giving maximum protection and comfort . The other thing about the ezeeydon system is the ease at which the suit can be donned and removed in our tests buddy was used as a model for us he was in his suit ready to go in less than 1 minute. 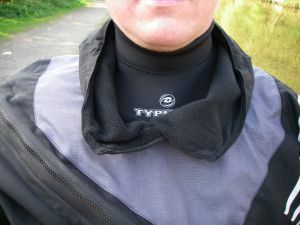 With the storm cuffs and fleeced lined storm collar this is a very comfortable suit to wear the new glide skin neck seals are a very soft material you would have no problems wearing it all day. 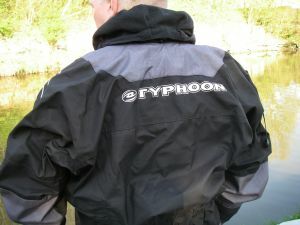 This is a top of the range suit and the quality shows. 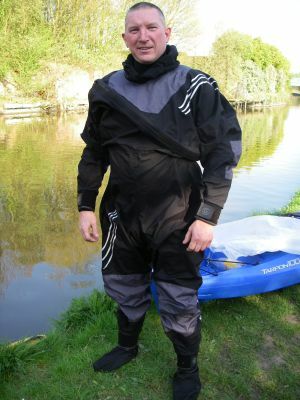 the new quad layer breathable material makes this suit a joy to wear I believe this suit has raised the bar in dry suit technology and set the standard very high this suit is sure to become a favourite amongst us kayak anglers .